So as I'm sure you all can tell by now I have a slight obsession with throw pillows and I love playing with different combinations. 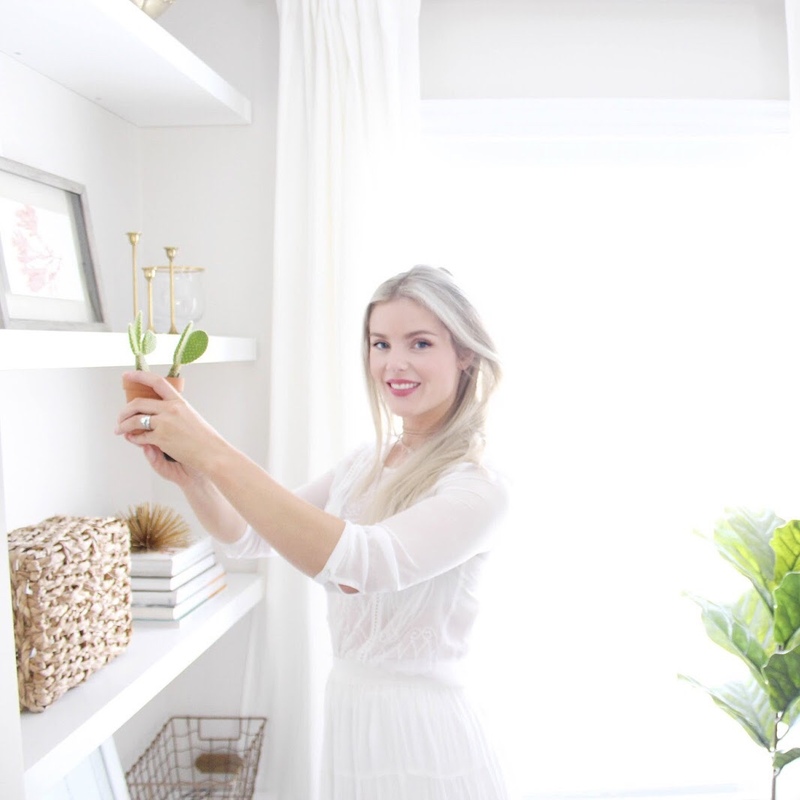 It's such a great, inexpensive way to change up the feel in a room and with spring hopefully right around the corner I thought what better time then to share some "pillowspiration". There is just nothing better then a brand spankin new plump pillow just plopped on your sofa making things look oh so prettay (yeah I was trying to see how many "p" words I could get into that sentence). Pillows are so inviting in a space and there are so many different styles and combinations you can do to switch things up. 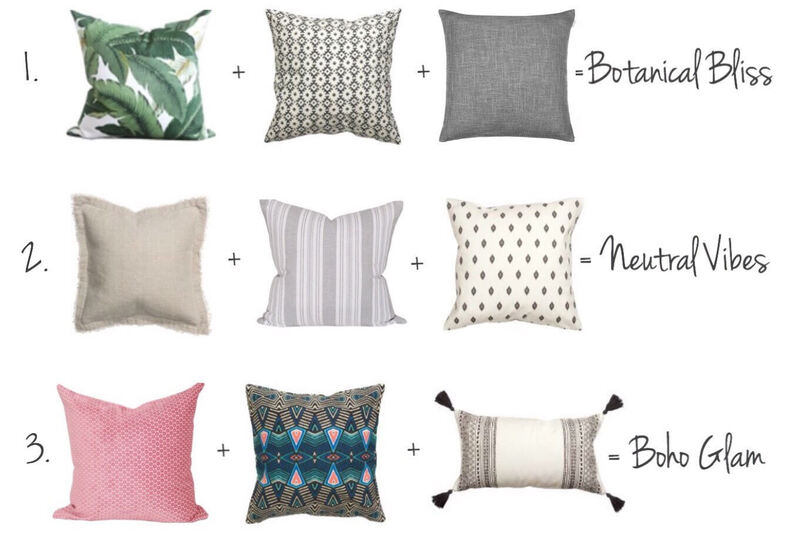 I always love throwing in a neutral, solid pillow in the mix to help things feel balanced and from being too much of a visual party, however if your into that look then you just stay true to you! In the board above I did three different styles that would be great for spring and summer and all have a completely different feeling. From botanical & refreshing to airy & neutral or a little boho glam there is something for everyone. Pillows are also a great way to try out different trends without breaking the bank by investing in a large scale item. Happy Monday!